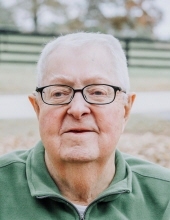 Mr. Paul R. “Sonny” Bugg III, 82, of Grantville, passed away Friday, April 5, 2019, at Piedmont Newnan Hospital. Mr. Bugg was born January 26, 1937, in Newnan, son of the late Paul R. Bugg, Jr. and Lottie Stone Bugg. A resident of Grantville most of his life, he earned a Bachelor’s degree from LaGrange College and retired after teaching 32 years in the Coweta County School System. He was a member of the Grantville First United Methodist Church, was a Mason, and was an avid fisherman. Survivors include his wife, Kay Bugg of Grantville; daughter and son in-law, April and Kevin Lefebvre, also of Grantville; grandchildren, Morgan White and her husband David, Abigail Vance and her partner Amanda Kraupner, John Vance, Matthew Lefebvre, Mark Lefebvre. In addition to his parents, he was preceded in death by his daughter, Sharon Vance, whose husband Edmund survives; and was also preceded in death by his brother, Ronald Bugg and sister in-law Sara Bugg, and is survived by their children Samantha Stitcher and her husband Brad, Robert Bugg and his wife Robin, Jeff Bugg and his wife Beatrice. A memorial service will be conducted at 2:00 p.m., Saturday, April 13, at the Grantville First United Methodist Church, with the Reverend Kory Trinrud and the Reverend Jimmy Lee officiating. The family will receive friends at the church from 1 until 2 Saturday. To send flowers or a remembrance gift to the family of Paul R. "Sonny" Bugg III, please visit our Tribute Store. "Email Address" would like to share the life celebration of Paul R. "Sonny" Bugg III. Click on the "link" to go to share a favorite memory or leave a condolence message for the family.